"This book served as a conversation starter with my little one. The topic of surrogacy is gently introduced. This book is now in the rotation of fav books for story time." "Awesome books for parents to help kids learn about the extraordinary way they came into the world." 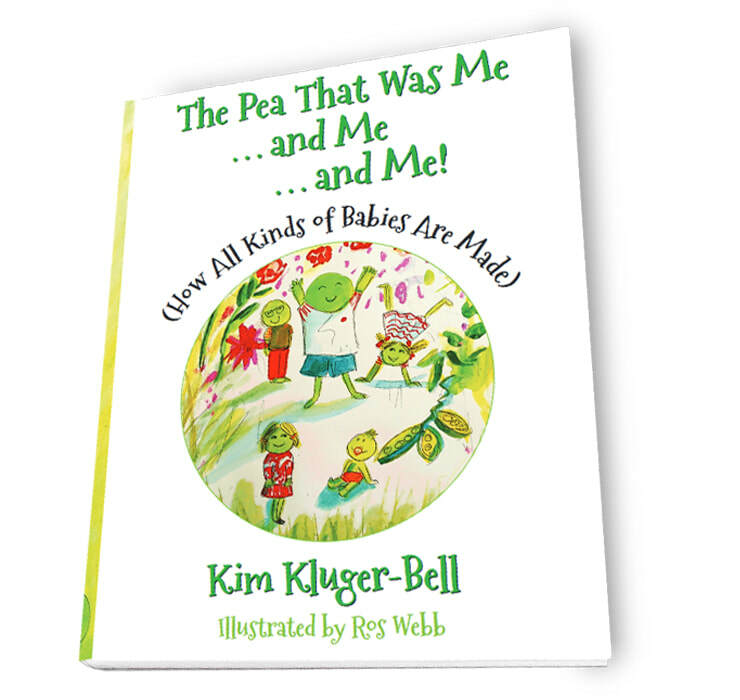 "Reading "The Pea That Was Me" or "The Very Kind Koala" to your young child (3-5 years) is a great way to introduce them to the fact that they were very much wanted and that their parent(s) needed a little help to have them!" " Very sweet books for young children that introduces the basic concepts that are so important for them to know." Comments? Compliments? Complaints? Just want to say hello? The Pea That Was Me & Me & Me! perfect for families whose kids have come into the world in different ways! Studies show that the earlier kids learn about their unique origins the better. For donor conceived kids who can't remember a time they didn't know there was a donor who helped them come into the world, the adjustment is easiest. Reading books that tell the simple story that you wanted your child so very much but needed some extra help to have them makes kids feel wanted and treasured, and fortunate. Said one young boy upon learning that about his family's egg donor helper "I want to be a help somebody have a family too." In fact, its not unusual to find young adults who were donor conceived to have a strong desire to "give back" to others and volunteer as donors or surrogates themselves!